Editor’s Note: This feature originally appeared in the October issue of MReport. There’s a lot of conversation going on around millennial homebuyers. And why not? They represent the single largest buying pool of any generation. The population of 26- and 27-year-old adults is more than any other age band. Yet, lenders often find it difficult to reach out to this generation, who are still wary of taking the plunge into homeownership. Why aren’t more millennials owning homes and what can be done to reach out to them more effectively? Experts from the lending industry answered these pressing questions during an MReport webinar titled “Hottest Buyers on the Block: Reaching Millennials” sponsored by Ellie Mae. Many millennials consider student debt to be their biggest barrier towards homeownership. A recent Urban Institute research study that looked at millennial homebuyer trends suggested that the rate of homeownership among millennials is lower compared to the previous generations because of their inability to save for a down payment thanks to the student loan debt they accumulated in the pursuit of higher education. So, what is the likelihood of a millennial who has a student loan debt of buying a home? A study published by the Federal Reserve Bank of New York found that young Americans with a bachelor’s degree or higher with no student loan debt accounted for 40 percent becoming homeowners by the age of 30. For those with a bachelor’s degree or higher with student loan debt the likelihood of homeownership by 30 dropped to 33 percent, an associate’s degree with no student loan debt to 31 percent, an associate’s degree with student loan debt to 24 percent, and finally those with no college checked in at 22 percent. “This data suggests that instead of being held down by student debt, furthering their education and getting a degree will go a long way in the probability of millennials becoming homeowners,” said Kathy Cummings, SVP, Bank of America. When millennials do eventually decide to buy a home, several factors will impact that decision. The annual Borrower Insight Survey by Ellie Mae found that for most millennials the biggest consideration to buying a home was family formation. But that can take some time. Despite these concerns, when they’re looking for information on the mortgage process, younger buyers often turn to mortgage lenders as a trusted source of information. “Given everything we went through with the housing crisis and the negative publicity about the industry at that time, it’s actually encouraging to see that for young buyers, mortgage lenders, along with realtors, are the two dominant sources of information that they trust to get advice about how they’re paying the mortgage and what’s required to qualify,” Palim said, adding that this was an aspect that lenders could use to reach out more effectively to millennials. Despite this trust, there exists a gap between what millennials expect from the homebuying process and what lenders are currently giving them. According to Marion McDougall, EVP, Chief Loan Administration Officer, Caliber Home Loans, millennials are investigators of options and use micro-moments to explore homeownership, preferring a balance of self-service and personal service. A recent eBook on the digital mortgage experience published by Ellie Mae also cleared some misconceptions about millennials and digital mortgages. It said that borrowers wanted a mortgage experience that combined speed, convenience, and security with personal interactions that are reassuring and convenient. “This means that a digital mortgage has to be more than just an online application,” the eBook said. Looking at the most important aspect for millennials when they applied for a mortgage loan online, Moe said that young Americans ranked security as the most important factor. When asked what needed to be improved, millennials ranked more face-to-face interaction as the second highest factor in improving their application process. “Although millennials may have grown up as digital natives, we need to realize that they face the same core challenge that every other generation has faced in terms of homeownership. This is the biggest transaction of their lifetime, and while technology and automation are key to creating a great experience, we can’t lose sight of the human experience,” Moe said. When it comes to the type of loans that millennials prefer, the Ellie Mae Millennial Tracker found that over 62 percent of all loans done by millennials were done using conventional loan programs, 24 percent took advantage of FHA programs, and less than 10 percent took advantage of VA programs. “There may still be some education opportunity in the market, in general, as we try to allow future homebuyers, like millennials, to understand the benefits of FHA programs and, for our young veterans coming back, the benefits of VA programs. But conventional loan types seem to be the focus for millennial homebuyers,” Moe said. 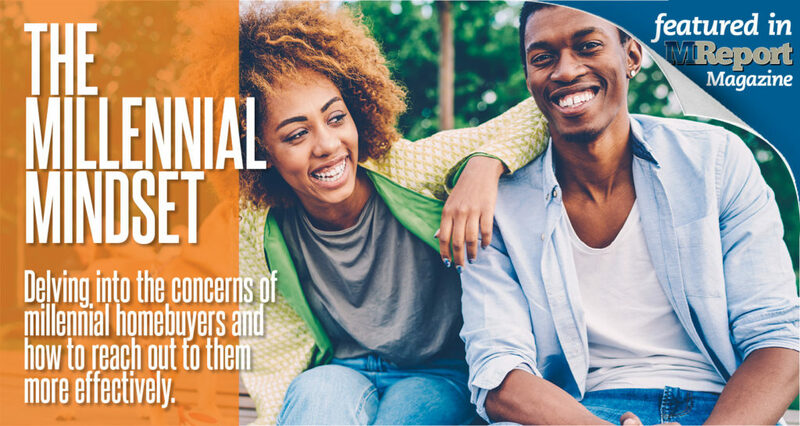 According to Davila, lenders must help millennials understand these various loan options to help them overcome their concerns over down payment. “It is time for us to really get behind USDA, FHA, VA, and other nontraditional products that are available right now that will help those millennials get into their first house,” he said. Despite the growing impact of millennials in homebuying across the country, there remains a gap in the perspectives and process as far as lending to them is concerned. One of those gaps, according to Palim, is the diversity in the job profiles of millennial borrowers. Pricewaterhouse Coopers recently surveyed 1,600 mortgage consumers, and more than 60 percent of respondents said that online digital tools were important to their ultimate satisfaction. Yet, McDougall said that lenders were behind other industries in meeting these expectations. “The user experience is sometimes degraded because we’ve not spent enough time in translating content that was previously presented on paper documents,” McDougall said. The result was weighty websites and a clunky user experience in what should be a streamlined digital view and flow. Speaking of digital solutions available for clients, Cummings explained that there were many benefits to having a digital experience available, including auto-populating application data for existing clients. “Think of financial applications like mint. com that compile information from various sources quickly and seamlessly, eliminating the physical paper trail of bank statements, loan records, credit card information, and the subsequent paper chase that occurs to get these documents into the hands of the underwriter. Automation results in delivering what our Bank of America consumer lending executive classifies as an exquisite client experience. In many cases, clients may be able to receive a sameday conditional approval, so they can go shopping for what they really want to shop for, a home,” Cummings said. The key then to increase the interactions between lenders and millennial homebuyers, according to both McDougall and Davila, is education. Lenders continue to leverage traditional methods to win customers and communicate with them over the life of the mortgage, which, McDougall feels, merely invite millennials into the lender’s process. But to truly connect, lenders must invest equally in researching and communicating with millennials where they spend their time.